The TDP, headed by Chandrababu Naidu, allied with the BJP for four years. Naidu had never demanded for special category status during his alliance with the BJP. Moreover, he welcomed the special package offered by the union government and then BJP leader Venkaiah Naidu was felicitated by AP government for the former's contribution in letting union government sanctioned special package. However, Naidu took a historical U turn on special category issue, post the TDP broke the alliance with BJP. CBN is now demanding for SCS in spite of knowing the fact that BJP government woule be in no mood to implement SCS to AP. Above all, CBN is lying that no funds were released by the centre as part of special package. However, BJP released a table wherein the list of schems/welfare programmes and the total amount sanctioned to them. 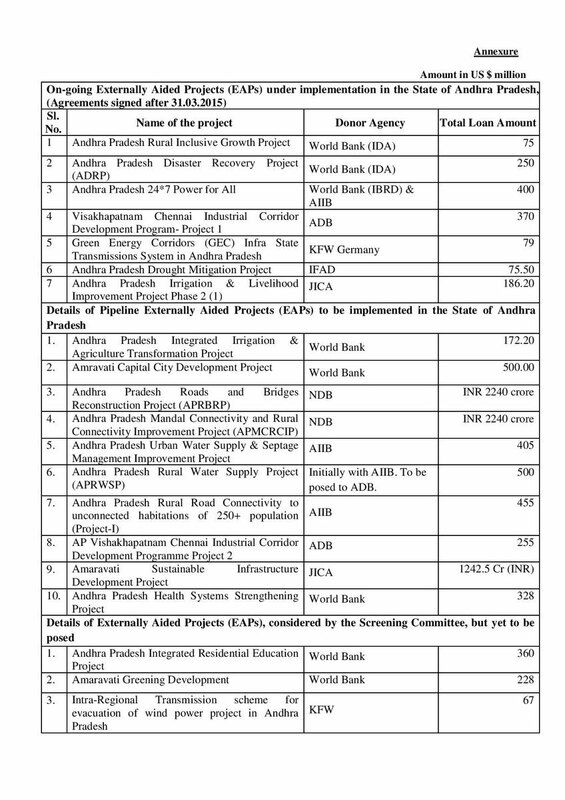 Acccording to the table shown above Modi has already allocated Rs.32000 crores to AP as part of special package. It is also heard that BJP is all set to allocated Rs.35000 crore more funds to AP soon. Altogeher, CBN's lies are busted by BJP's sources. What say 'Telugu Tammullu'?